Friday 17 May 2013, the International Day Against Homophobia and Transphobia (IDAHO) sees the official release of a brand new Football gaming app for mobile devices onto the market. Designed with an emphasis on fun and to challenge the skills of 11-16 year old gamers and other users, ‘UpFront’ also carries an important message – “Discrimination in sport is wrong”. 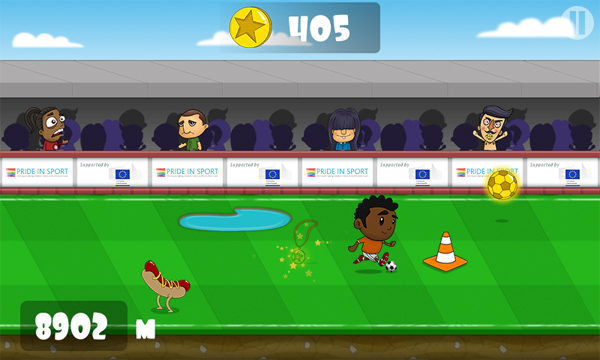 The game is released by the European Gay and Lesbian Sport Federation (EGLSF) as part of its ‘Pride in Sport’ project, an initiative funded within the European Commission’s Preparatory Actions in the Field of Sport.